REACT is Hypertech's innovative new throttle optimizer which combines Hypertech's history of award winning Engineering and exciting performance. 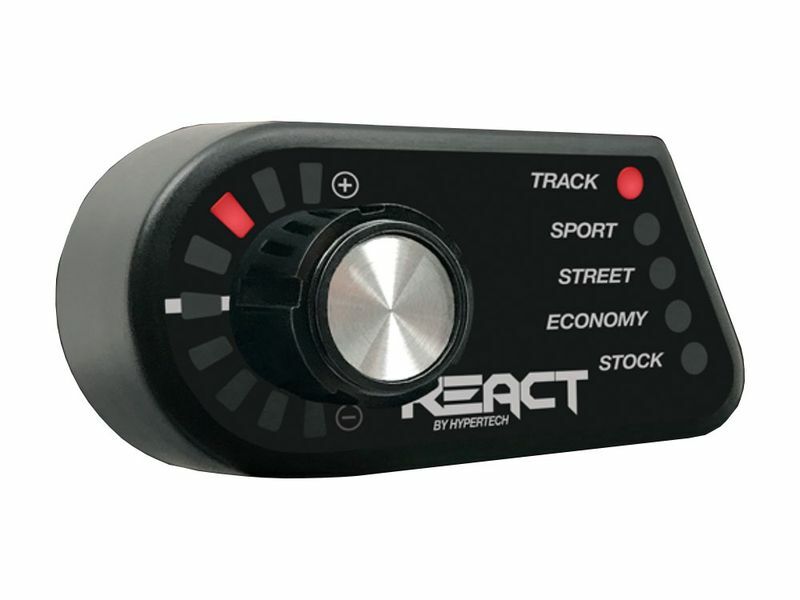 The REACT offers full customizable control over your vehicle's throttle response. The simple control allows you to switch between multiple modes and control the intensity of each mode on-the-fly. Adjustments range from Economy Track by a simple control knob. There's even a tow version of the REACT with adjustment ranges from Heavy Tow, Mileage, to Wet/Ice. The REACT throttle optimizer features an easy plug and play installation giving you access to full throttle customization in a short time. The set up is automatic and a magnetic mount is included. No warranty is voided with the installation. If you have any other questions please give us a call.